NEW YORK, NY–(Marketwire – July 3, 2009) – The Rocket Racing League® today announced the closing of a $5.5 million dollar financing round, ensuring the next phase of development of the league. It also announced the appointment of a new President & CEO and the commencement of manufacturing activities for its next generation Rocket Racer®. The financing round, led by Augustus Ventures Limited and America’s Cup winner Bill Koch, puts the League on track for execution of its plans to launch the world’s first interactive sport pitting pilot against pilot in manned rocket powered airplanes competing through a Raceway-in-the-Sky™. July 2009 also marks the kick-off of the manufacture of the League’s next generation Rocket Racer, an advanced design based upon the current ships already built, flown and FAA-certified in 2008, in a collaborative partnership with Armadillo Aerospace of Rockwall, Texas and Velocity, Inc., of Sebastian, Florida. “I am honored to begin my new role at Rocket Racing, having served for the past three years as a Director. With a renewed focus on our technology development and rollout of the newly designed Rocket Racers, I believe we will soon deliver an exciting new sport to our fans everywhere,” said Ramy Weitz, Rocket Racing’s newly appointed CEO. Founded in 2005 by X PRIZE Chairman Peter H. Diamandis, MD, and two-time Indianapolis 500 winning team partner Granger Whitelaw, the Rocket Racing League® (RRL®) is a new entertainment sports league that combines the exhilaration of racing with the power of rocket engines. To be held at venues across the country, the Rocket Racing League will feature multiple races pitting up to 10 Rocket Racers against each other in a 4-lap, multiple elimination heat format on a 5-mile “Formula One”-like closed circuit raceway in the sky. 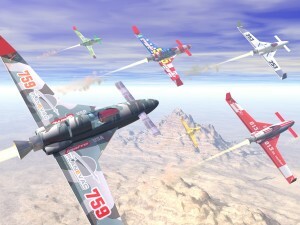 For more information on the Rocket Racing League, please visit www.rocketracingleague.com.